Viewing the Science and Technology galleries at National Museum of Scotland © Peter Dibdin. After my recent walk on the wild side I thought I would rest my weary feet and explore the varied transport options available in the collection at National Museums Scotland. There are many modes of transport on offer – from all corners of the globe, covering time and space – that you may wish to investigate on your next journey around the collection. 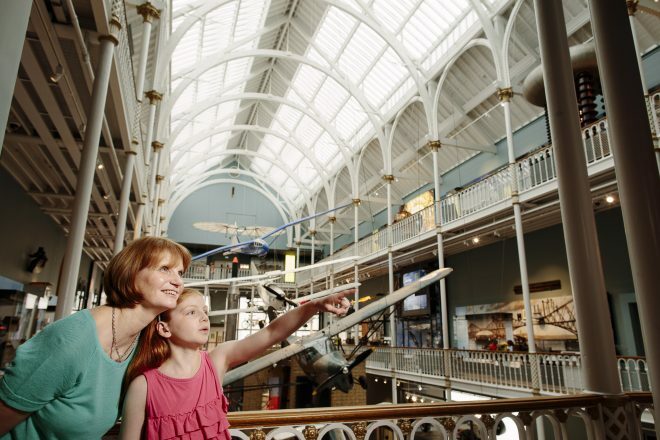 National Museums Scotland has one of Europe’s best collection of aircraft, from defenders of the nation and jumping jets to supersonic passenger planes and airborne maternity wards. The majority of the aircraft in the collection resides at the National Museum of Flight, East Fortune Airfield, however there are a few suspended over the new Science and Technology galleries at the National Museum of Scotland. Britain’s oldest aircraft, Percy Pilcher’s Hawk glider, is flying once again over the Science and Technology galleries. Discover what makes the Hawk such an important part of aviation history by watching this episode of Making the Museum. Only 40 minutes from Edinburgh, the National Museum of Flight is one of the UK’s best days out and is now even better with two new hangars. £3.6 million has been invested restoring our Second World War hangars, which now tell the stories of military and civil aviation over the past 100 years. 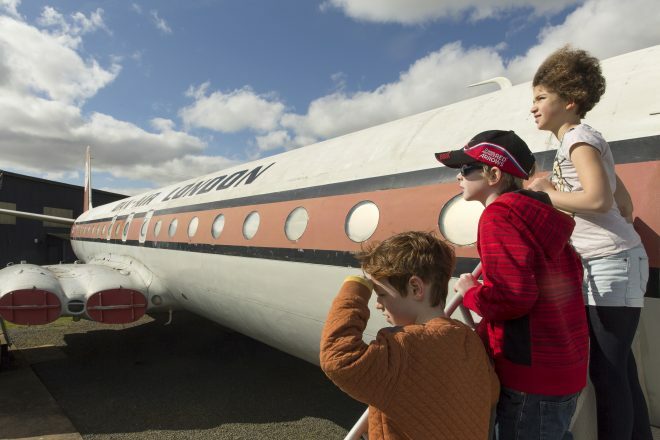 On entering the former airfield, you will spot the de Havilland Comet 4c aircraft, which once took passengers on the first package holidays from the UK to Europe. Here’s the Comet 4c in front of the Military Aviation hangar. Inside the Civil Aviation hangar, nestled amongst other notable aircraft, is the majestic Scottish Aviation Twin Pioneer (affectionately known as the Twin Pin). Only 89 were ever built and our Twin Pin served with the RAF in the jungles of Borneo! See if you can escape the jungle by building your own aircraft in our Plane Builder game. Illustration of the Scottish Aviation Twin Pioneer at National Museum of Flight, East Fortune Airfield. A visit to East Fortune Airfield would not be complete with boarding Concorde G-BOAA. Flying faster than the speed of sound, Concorde was one of the world’s only successful supersonic passenger plane and one of the most iconic aircraft ever flow. With an average transatlantic journey time of three hours 30 minutes you could depart London after breakfast and arrive in New York well before breakfast the same day! 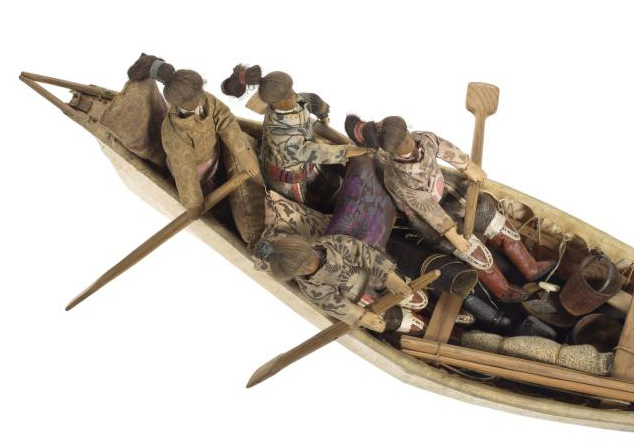 Coming back down to earth with a splash, here’s a delightful model of an Oomiak, an Inuit flat bottomed boat complete with passengers and oars from South Greenland. Looks like hard work to me but I’m sure it kept the passengers on board fit and I particularly like all their belongings inside the boat. Model of the inside a flat bottomed model Oomiak (boat) on display in Living Lands at National Museum of Scotland. Travelling back 1,000 years, how about a Viking ship with high prow and stern, mast, rigging and broad steering oar. It must have been extremely challenging to traverse the open sea in vessels like this. I think a boat that is less open to the elements would be helpful when crossing the sea! Stone; drawing of ship, high prow and stern, mast, rigging, broad steering oar; lattice pattern on back from Jarlshof, Shetland dating 800 – 1100 AD. For thousands of years ships were powered by wind or people. In the 18th century, the development of the steam engine transformed sea transport. By the late 1700s, compact steam engines were being used on many ships, but were mostly combined with sails. 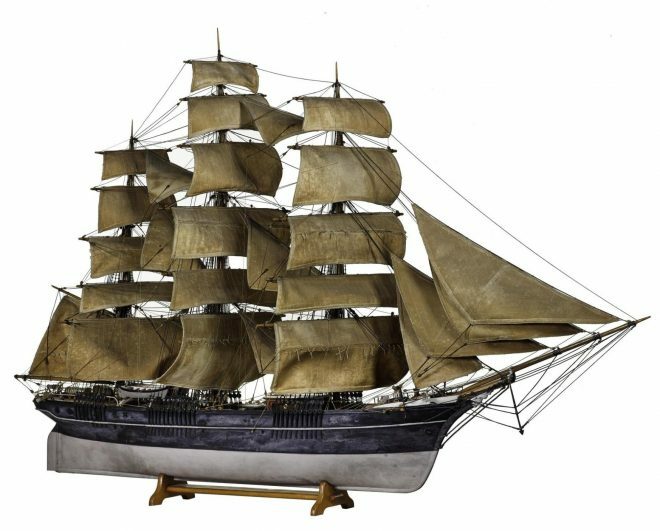 If you’re looking for a bit more power, I suggest this full-rigged sailing ship with its multiple masts, sails and rigging, which represents sailing ships from the period before the introduction of practical steamships. Model of a full-rigged ship c. 1875 on display in technology by Design, Level 3 of the National Museum of Scotland. Steamships were developed for longer sea voyages from the early 19th century. In 1838, engineer Isambard Kingdom Brunel launched the SS Great Western, the first steamship designed to undertake regular transatlantic crossings. This marked the beginning of an era of steam-powered ocean travel. Improvements were made to maximise the efficiency steam power, including the use of steam turbines. Today, steam has been replaced with the internal combustion engine for passenger and cargo vessels, while powerful gas turbine engines are commonly used for warships. A 20th century example of a motor cargo vessel can be found in Scotland: A Changing Nation, at the National Museum of Scotland. Model of T.S.M.V. Cubahama (later U.S. Kuala), a motor cargo vessel on display in Scotland a Changing Nation, National Museum of Scotland. Let the train take the strain! How about an early 19th century goods locomotive, the forerunner for the early passenger trains, open to the all the elements? In the early 1800s a number of people were trying to find new ways of using steam power, especially for moving goods from one place to another. 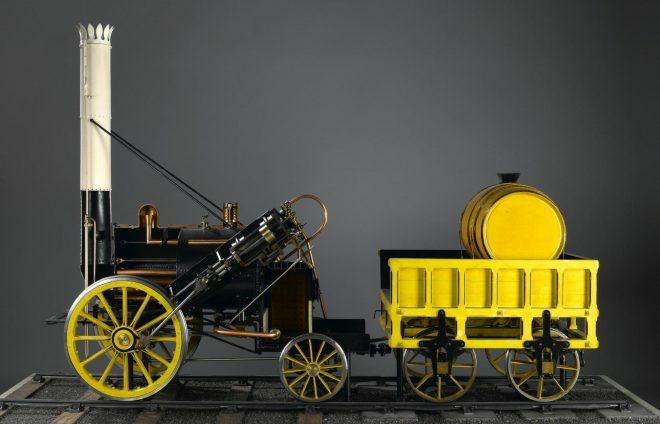 The ‘father of the locomotive’, George Stephenson, finished work on his first locomotive, ‘Blücher’, in 1814. His son Robert Stephenson’s most famous engine, The Rocket, built in 1829, set the blueprint for locomotives for the next 150 years. The original is in the Science Museum, but you can see a working model on Level 3 of the Window on the World at National Museum of Scotland. Working model of the Rocket locomotive on display in Window on the World at National Museum of Scotland. 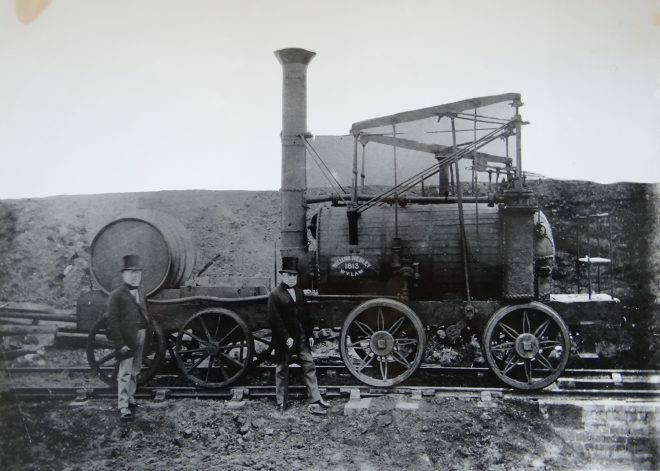 In 1812 William Hedley began to design and build his own steam locomotive which would run along the Wylam Wagonway, near Newcastle-upon-Tyne. Hedley’s locomotive would be designed to run on smooth rails rather than using a rack between the rails. Wylam Dilly, one of the world’s two oldest surviving locomotives, celebrated her bicentenary in 2013. See Wylam Dilly for yourself in the new Explore gallery at the National Museum of Scotland. Wylam Dilly with Hedley’s sons William and George, photographed between 1869 and 1882. 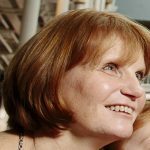 If you’re a lover of steam trains, travel up to Level 4, Industry and Empire, at the National Museum of Scotland to get up close to the Ellesmere steam locomotive, built by Hawthorn & Co, Leith Engine Works in 1861. The Ellesmere, no 244, was a small industrial locomotive built from a design patented by Samuel D Davidson. It was built for Howe Bridge colliery near Atherton in Lancashire and continued to work at Howe Bridge until 1957, by which time it was, at 96, the oldest working steam locomotive in Britain. Unusually, the Ellesmere doesn’t have a cab for the engine driver, he had to stand on the outside to drive the train. Okay if it wasn’t raining I suppose! 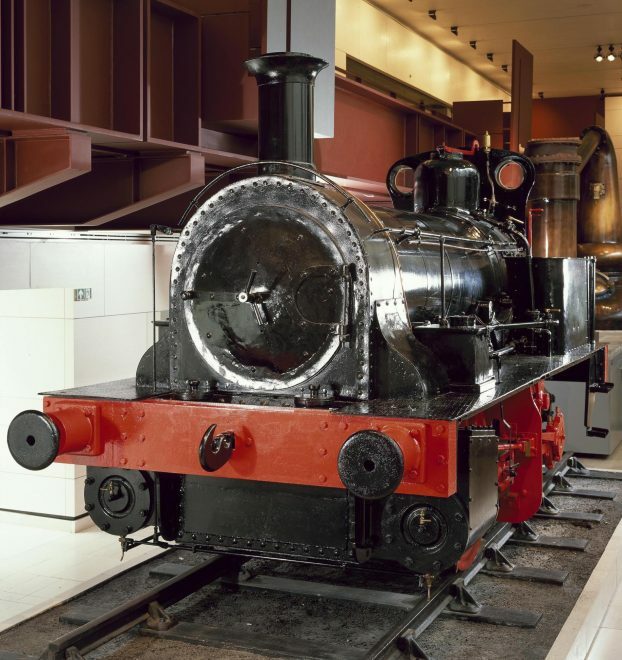 Industrial locomotive, with the name Ellesmere, built by Hawthorns and Co. of Leith in 1861 for a colliery at Leigh, Lancashire, where it worked until 1957, on display in Industry and Empire, National Museum of Scotland. You can also experience what it is like to travel by steam train in the 21st century, aboard the express passenger locomotive and tender, L.N.E.R. No. 246 Morayshire, class D49 which is on long term loan to the Bo’ness and Kinneil railway . 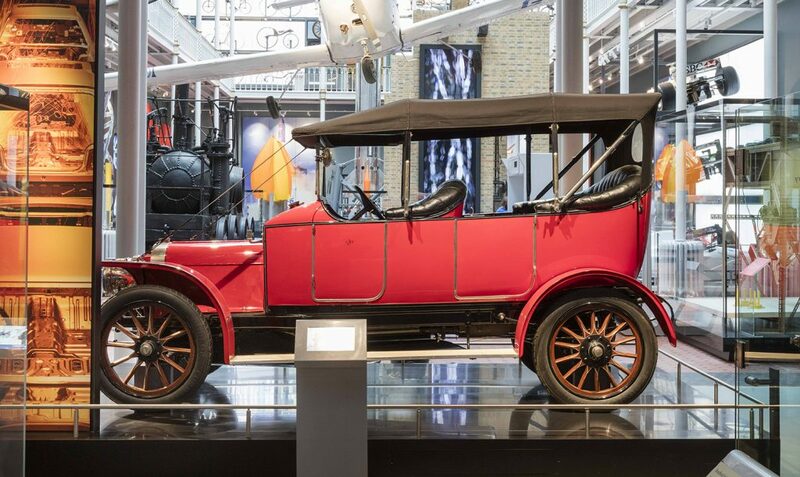 Moving on to a more familiar mode of transport for many of us, the motor car, the National Museums Scotland has vehicles from the early 20th century right up to the present day. 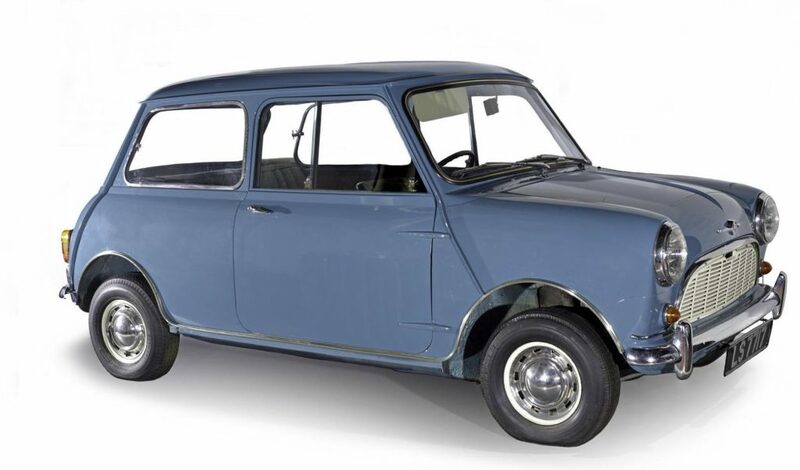 Here are my favourites, from the Scottish-made Argyll Flying Fifteen motor car from 1910 to the cute Morris Mini to the state-of-the-art, and the Red Bull RB2 Formula 1 racing car, which was driven by Scottish F1 driver David Coulthard when he won the 2006 F1 Monaco Grand Prix. Morris Mini-Minor motor car, registration LS7717, 1959 on display in Hawthornden Court at National Museum of Scotland. 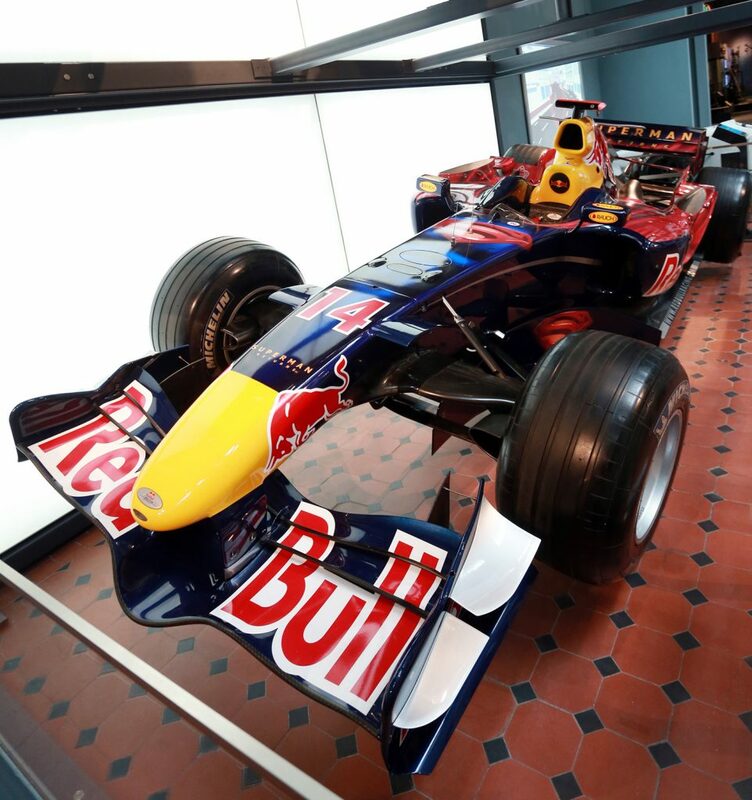 Red Bull RB2 Formula 1 racing car, 2006 on display in Explore at National Museum of Scotland. 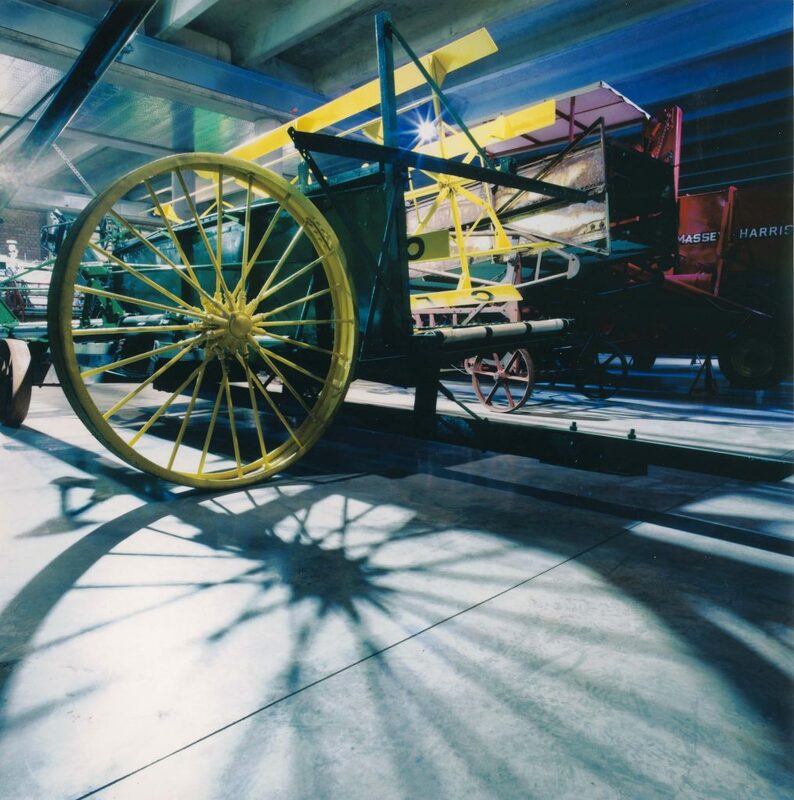 Finally, a journey around the different modes of transport at National Museums Scotland would not be complete without a trip to the National Museum of Rural Life, where you can jump on board our tractor trailer Farm Explorer. You also take a leisurely walk up to the farm house on the Wester Kittochside farm. 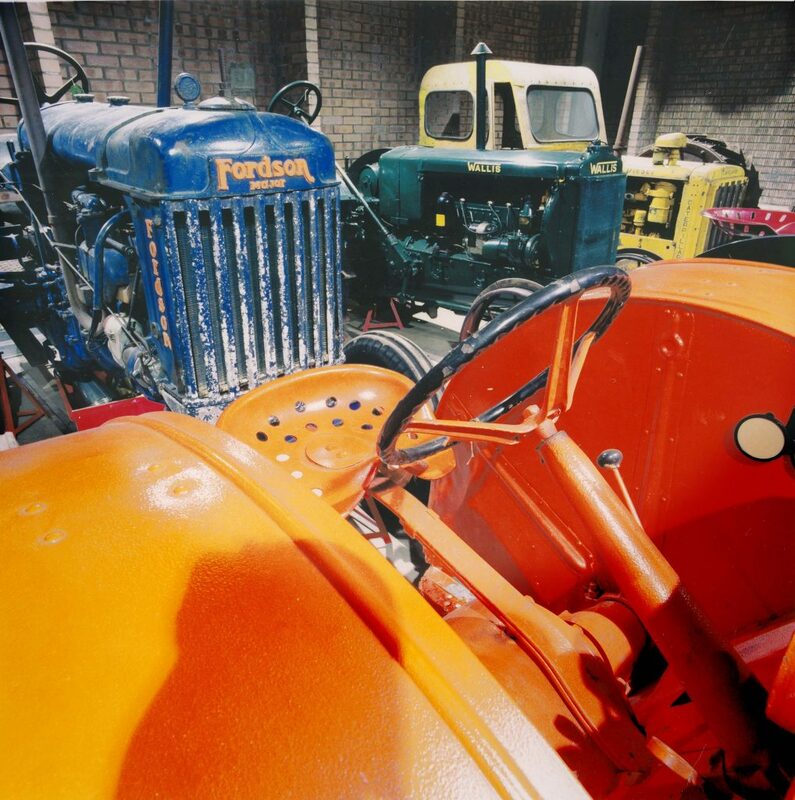 If tractors and combine harvesters are your thing, we also have a fantastic tractor collection and a large combine harvester collection. Inside the combine and tractor store at National Museum of Rural Life. Tractor shed at the National Museum of Rural Life. 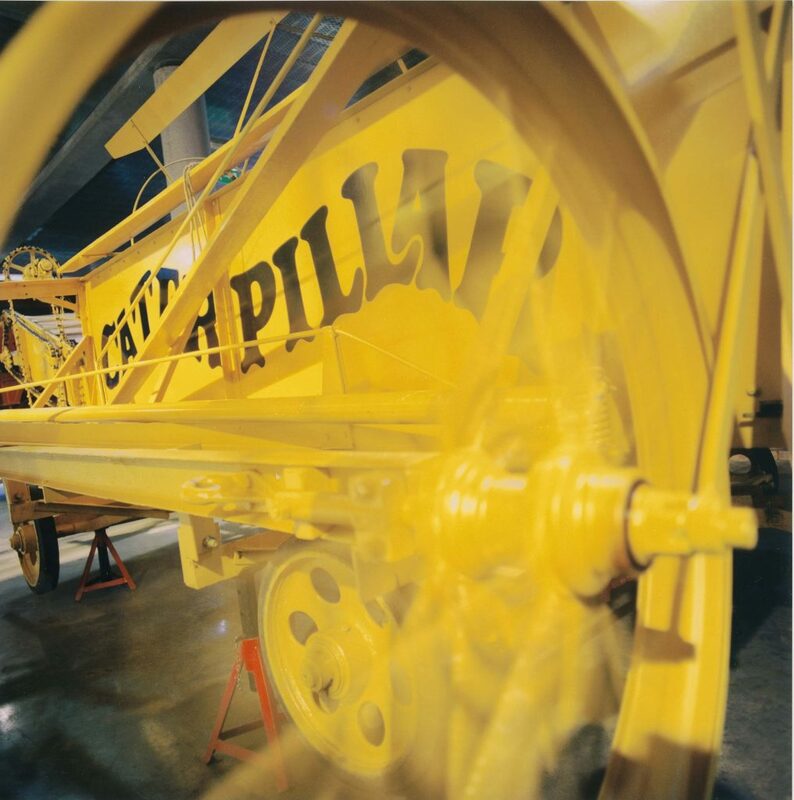 My transport trail at National Museums Scotland has reach its journey’s end; however, do make a point on your next visit to the National Museums Scotland’s sites to explore the trains, boats, planes and tractors we have in our collection. Which vehicle is your favourite? Do share with us! I Juanpere Aguilo Salvador, head of the Future National Museum of Catalonia Chess in Castellar del Vallès (Vallès Occidental) near Barcelona. We are interested in the game with more high (more than 3.58 inch) and its price. Send the pieces without the board? What do you think is the most suitable colour they can be exhibited with a good light? Please be sent a catalog, thank you very much. We are waiting for your news greetings and thanks for your time. You can purchase Lewis Chessmen sets via our online shop: http://shop.nms.ac.uk/collections/collections-lewis-chessmen The towers are indeed Beserkers! You can also contact the shop at shoponline@nms.ac.uk for further information.